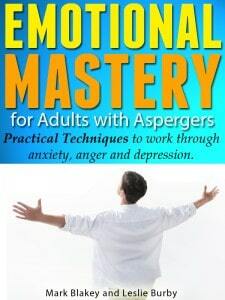 As part of Autism awareness week, we wanted to give away our book, Emotional Mastery for Adults with Aspergers. The book will be available for free between the 5th and 9th of April. The book can be read on devices such as kindle, ipad, iphone, android, pc, mac or any other where the kindle software can be downloaded. I, as well, run away. Imagine a long distance runner running in place. The surrounding view is unchanged but the inner dialog varies in that I change the project on which I am working. To wit, if I have been working on building a deck I leave it…run away…and weed my grape Vines. Then…run away…and begin working on my guitar…run away…back to my deck. No, not multitasking. Dealing with my need to run away by not leaving my responsibilities but changing my reality. Long distance runner not going anywhere? Hardly. I live alone, sort of. Who would care for the elderly and sick dogs I rescue and give hospice care. I am, after all, a hospice nurse. “when life is difficult my husband runs away from home”… wow, as a 53 yr old recently self diagnosed aspie (44 on the test) this hits home in a way I’ve never thought of before. I’d always told friends that I ran away from home at 20 and went to college and never went back. Since then, and 30 yrs marriage to the love of my life (plus 8 kids) I’ve been in the USAF and US civil service; still not retired. But, currently on a 6 month deployment to a war zone… numerous reasons, but was “running away from home” one of them? There have been times in my life when I’ve been sent away for a deployment or business trip for a week or two, then there was the 3 month deployment to Guam, and 3 weeks to Turkey… was I running away from home? Perhaps, subconsiously I was/am. Those events may have broken me away from the hassle/stress/confusion/overwhelmingness of those current home/work situations, but since they were to a new work situation new stress/confusion/overwhelmingness came anyway. Often times compounding issues that I never knew I had – didn’t know I was an aspie then. Didn’t understand why being around too many people for too long would cause me to freak out and run away, didn’t realize that I didn’t get non-verbal communication because I don’t get non-verbal communication. Didn’t realize I was hyper-sensitive to emotions. Then there were those times where I let the family take off to a visit home, etc without me – leaving me at home and alone… again, there was some good in being alone, but then you’re alone and away from the only social network that works for/with you so that goes south too. So I “run away” without leaving by letting them leave… Being an aspie is tough. It’s so contradictory. You want to be around people, but you don’t. You want to interact, but you don’t know how. You see examples of people who live lives and do great things and you’d like to do the same, but you know you aren’t that way, you can’t “step up” that way, and you walk away wondering why am I still so weird? I know what’s wrong/different about me., but I can’t do anything about it. My diet is off, my internal chemistry is messed up, I’m away from home, away from my “meds”, and mentally slipping down “that road” again. No wonder I run away. Who wants to live like this around people? Ah, the downward spiral of depression – sort of like a “black hole” attempting to swallow everything that gets into the “event horizon”. Need my peaceful, well-ordered, routine life back. Something you can set your watch by. My HUSBAND has been officially diagnosed with Asperger’s Syndrome at age 50 years. This was only 12 months after our marriage. 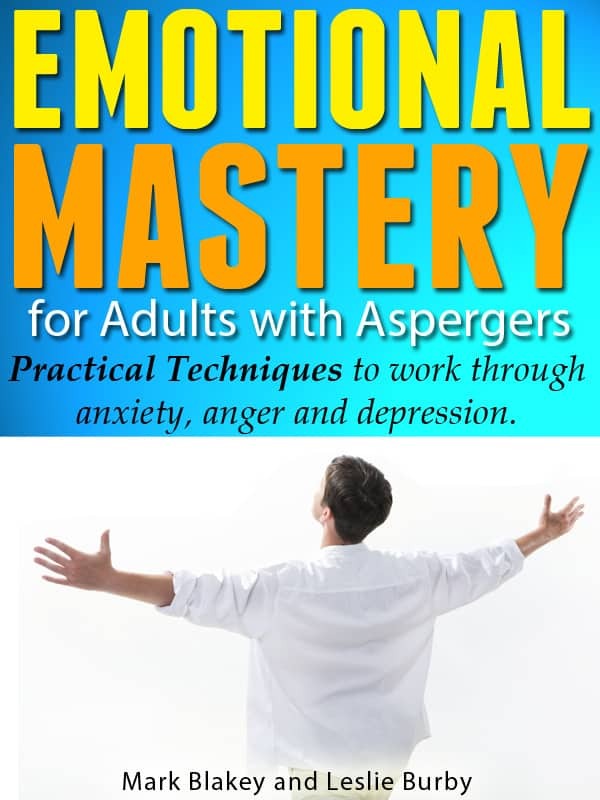 I genuinely need help to learn the signals much better than I do, even tho I have the Tony Attwood Complete Guide to Asperger’s. When life is difficult my husband runs away from home but always comes back whether it be 6 weeks, 3 months or 3 days.